Toll Roads: We said ‘No, thanks.’ Speaker Thom & co. gave them to us anyway. 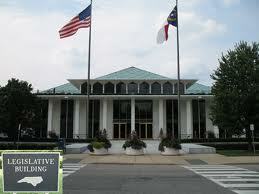 This week, the NC House approved a $20.6 budget billion — with one Republican voting NO, and two Democrats voting YES. State Rep. Robert Brawley was the lone dissenter on the budget (which spends roughly $400 million more than Bev Perdue’s LAST budget). Budget Code 64208 represents the Turnpike Authority’s budget and the totals shown represent the Recommended Continuation Budget for the FY 2013-15 fiscal biennium. Pages K-11 and K-12 of the report (alternatively, pp. 137-139 of the .pdf version) illustrate the reduction in recurring receipts associated with two administrative positions that are being eliminated. For additional detail, attached are descriptions of the individual fund codes which comprise budget code 64208. Here’s some internal literature showing JUST WHAT budget code 64208 funds. Interesting. Speaker Thom has been telling us that no toll roads are coming. Well, why are these budget line items being funded, then? Fear not. There is still time for the Senate to ride to the rescue and kill this whole toll roads idea. But what are we to do about all of these House Republicans who have thumbed their noses at the state party platform and the wishes of the party’s grassroots leaders? So our Republican House has decided to spend 1.4 bil on something the NCGOP is strongly against. So strongly against, we put it in our platform just weeks ago. Can’t wait to hear what our new Party Chair has say about this. Does he represent the Party, or the Speaker? Ok, Haymaker…you set the pace. Cojones. I guess its okay to use that it print. I know the gist of your story and I applaud your fair dealing with the content. But let me say things a little differently. In some respects it does take cojones to do what Tillis and some others do. But outright lying and deception, and corruption is not cojone-worthy. It takes REAL cojones to tell the truth, or be the only one willing to do so. If takes REAL cojones to risk your own political career to call it like it is. I have dozens of legislators from Berger on down to the freshmen. Most of the time I feel like sanitizing my hand after shaking theirs. Robert Brawley is the real deal. He is no nonsense, no personal agenda, no waffle. Brawley is the man. Brawley is the man most men WISH they were. And given the political climate in Raleigh, he sports a very large set of cojones. Cojones so large it is too late or pointless for any General Assembly member to challenge him. Those that want to try to embarass or punish Brawley for standing up and speaking the truth will find the public is not stupid, and can separate (campaign) rhetoric from fact. Brawley is loved by his constituents, and have respect of his peers. It would be nice if those who did admire him would do more than just whisper it. He should have no problem if he wants to get elected. I said IF he wants to. Who could blame him for deciding to exit the cesspool on Jones St? So here’s my official report on Wake County cojones. Feel free to diverge or offer addendums. Topping the list of course is Robert BRAWLEY. Large, impossible to ignore, but statesman-like. THILLIS: smaller than avg, often fluffed or inflated in front of a crowd. JUSTIN BURR: hasn’t dropped yet. Judge HOWARD MANNING: well developed, quite large. If forced to, may show you how large. D.A Colon WILLOUGHBY: slightly above average. A.G. ROY COOPER: used to be larger than avg, but seem to have shrunken somewhat. Sen RUCHO: seemed to have acute swelling last week. Perhaps more later, but for fear of censorship, I am reserving comment for now on Ruth Samuelson, Laura Leslie, and and Tom Apodaca.